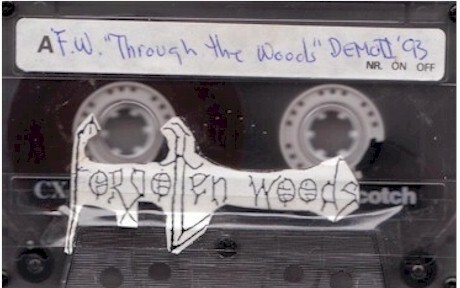 Norwegian Black Metal act FORGOTTEN WOODS arrived with two 1993 demo sessions, 'Through The Woods' in May and 'Forgotten Woods' during October. 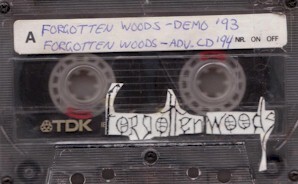 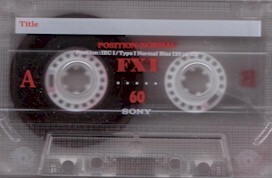 The 'Sjel Av Natten' demo would later be commercially released as a single by Last Epitaph Records in 1995. 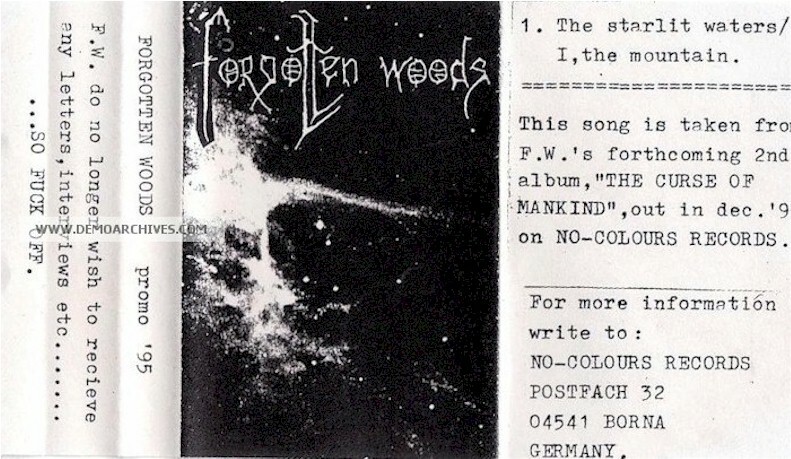 FORGOTTEN WOODS released two albums, 1994's 'As The Wolves Gather' and 'The Curse Of Mankind' in 1996, on the No Colours label.